Baskets are a simple but stylish way to organise your home. These hard-working multitaskers not only provide practical storage solutions but they are also decorative and instantly add texture and warmth to any room. Handled, woven, lined, coloured, patterned and lidded - there are so many options when it comes to choosing the baskets you display around your home to fit your needs and style. This book will teach you how to master the versatile art of basketry. Each of the four chapters tackles the different materials and their subsequent techniques, including grasses, rope, twine and cane. Learn how to add pattern and colour to your woven wonders as you create a colourful collection of 15 storage accessories of your own. The projects include laundry baskets, baskets with lids, rope bags, a picnic basket, a gorgeous woven lampshade and a stylish collection of patterned tableware. Disover more about this tactile craft as Tabara N'Diaye explores its history and origins through her Senegalese roots. 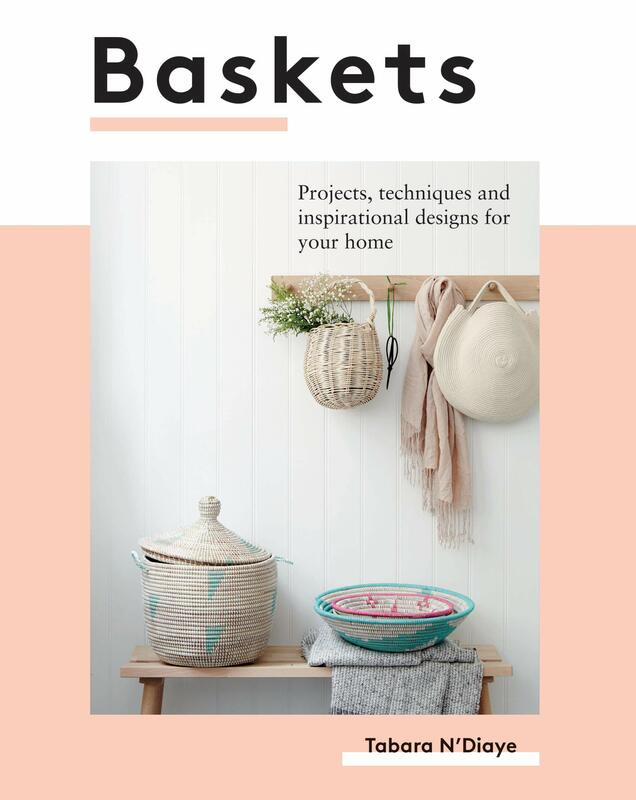 With clear instructions accompanied by the beautiful lifestyle photography and illustrations throughout, Baskets demystifies the art of basket-making for makers at all levels. Tabara N'Diaye is the co-founder of La Basketry, a homeware brand offering baskets and home accessories designed in collaboration with a group of female artisans in her native Senegal. Since its launch in 2017, her range of products has been featured in some of the UK's best press such as the Telegraph, The Sunday Times, Living Etc, House & Garden and is currently stocked at the world-renowned Victoria & Albert Museum. A basket maker herself, she's on a mission to shine light on one of the world's most ancient crafts with basketry techniques and modern creations that will inspire you. It's woven into her DNA!